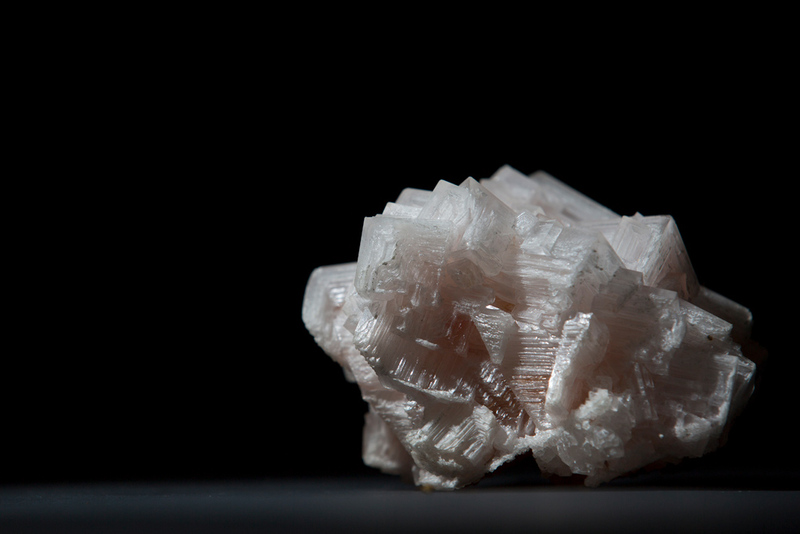 Halite from Searles Lake in Trona, California. 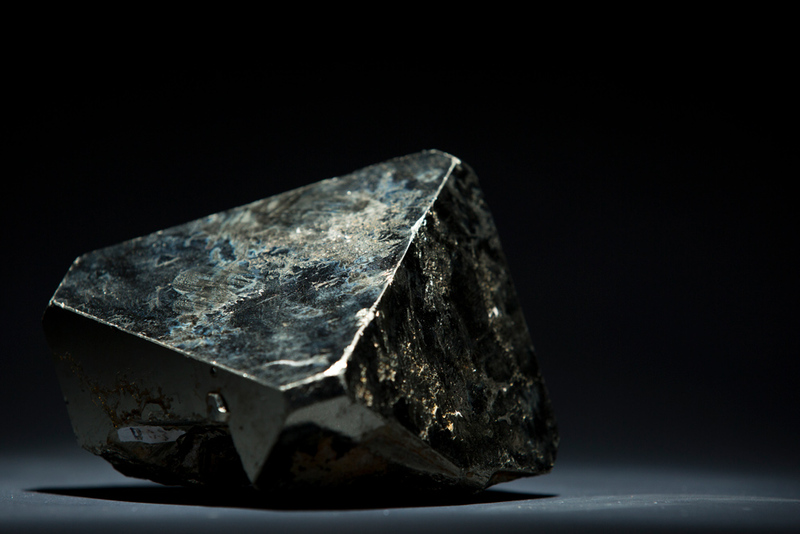 Pyrite Octahedron from Huanuco, Peru. Donated by Jose E. Arce. One of the largest collections of minerals in the state, Missouri S&T’s Mineral Museum dates back to the 1904 World’s Fair in St. Louis. After the fair, exhibitors did not want to face the costs of shipping a large collection of minerals back to their original homes. 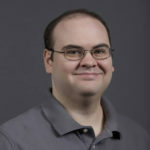 The collection was donated to the care of Dr. George E. Ladd, director of the Missouri School of Mines and Metallurgy between 1897 and 1907. Cryloite from Ivigtut S.W. Greenland. Donated by Dr. Hans Pauly. 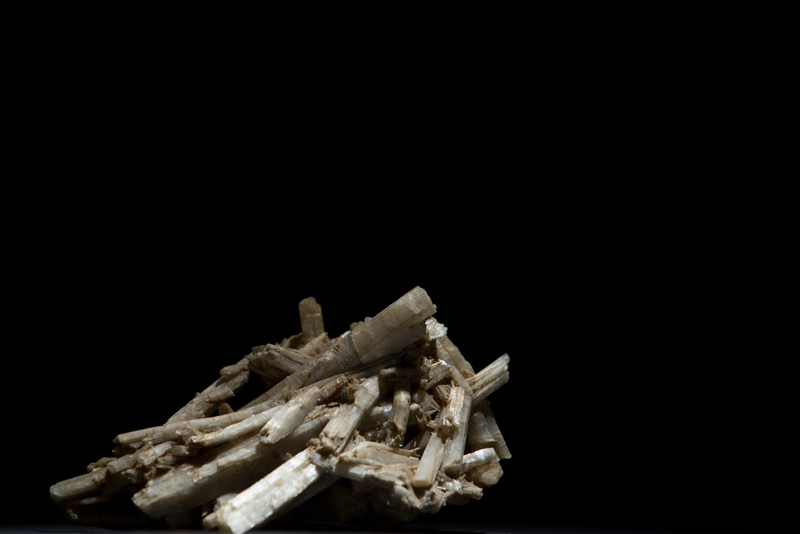 The collection is laid out in the same way students would learn about the minerals in class. It begins with native elements, moves on to sulfides and then calcites. 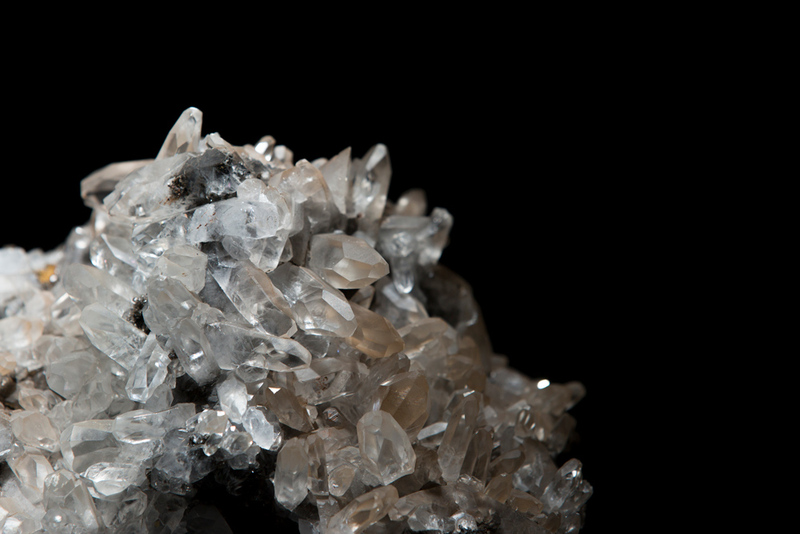 Calcite from Cumberland, England. Donated by Edward Lyons. Visitors can see minerals provided by Charles Laurence Dake, geology instructor at Missouri S&T from 1912-21; Col. John Kingston, a Civil War colonel and later surveyor and geologist; and John Wesley Powell, one of the first USGS surveyors and possibly the first person to travel down the Colorado River in the Grand Canyon. 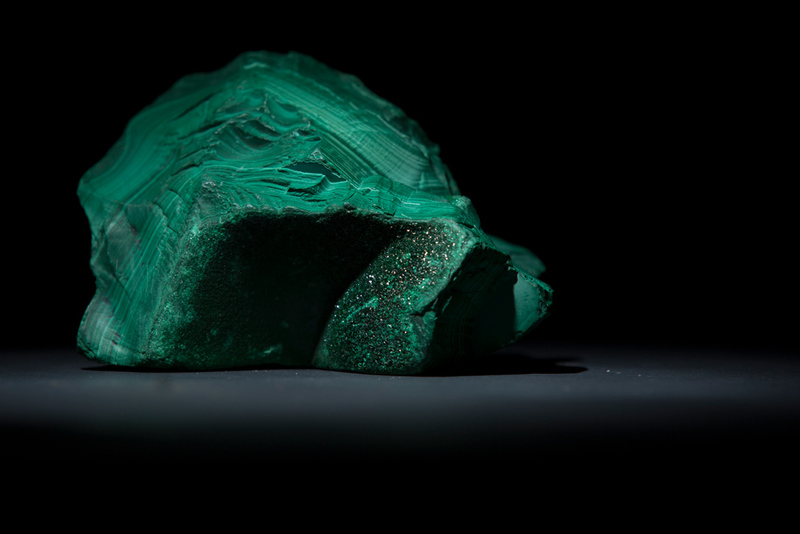 Malachite from an unknown location. Donated by donor number 3470. 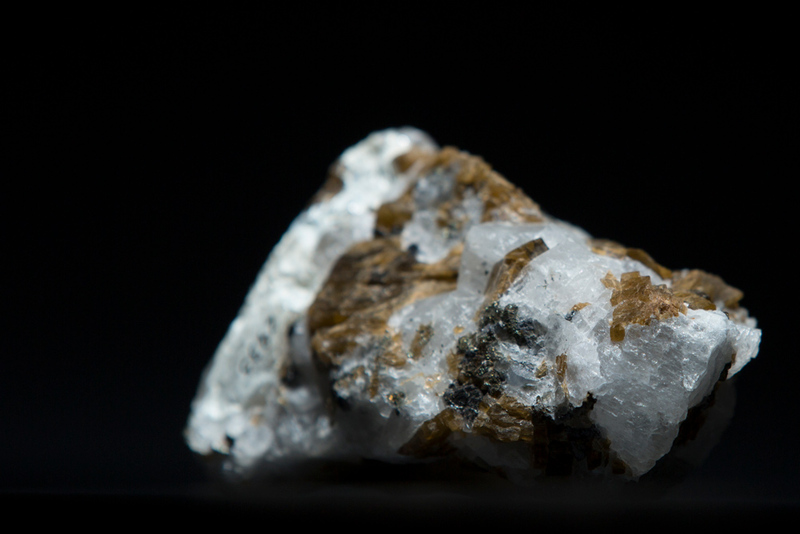 Szenicsite from #1 Mine, Inca De Oro in Chile. Donated by Terry Szenics. Over the decades, the collection has grown thanks to generous donations. 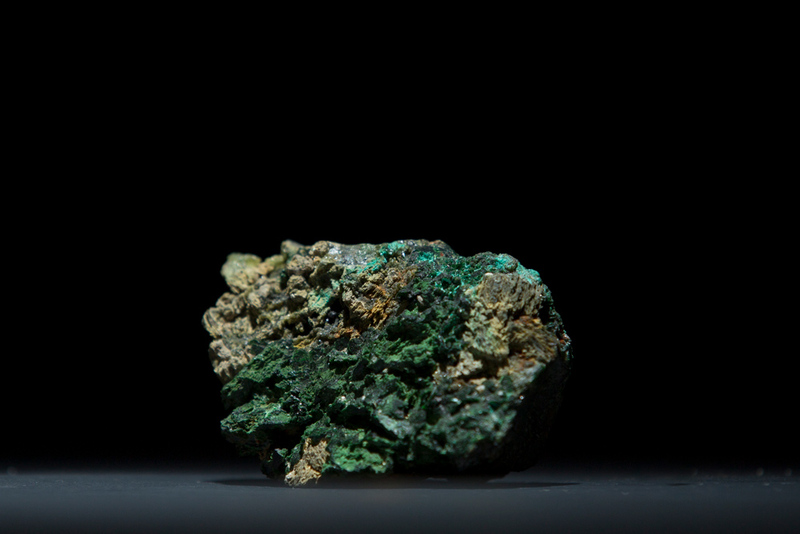 The sample of Szenicsite (above), was donated to Missouri S&T by the founder it is named after, Terry Szenics, who discovered it in Inca De Oro’s Mine No.1 in northern Chile. Artinite Acic Xls from San Benito, California. Donated by Raymond J. Marlotte. 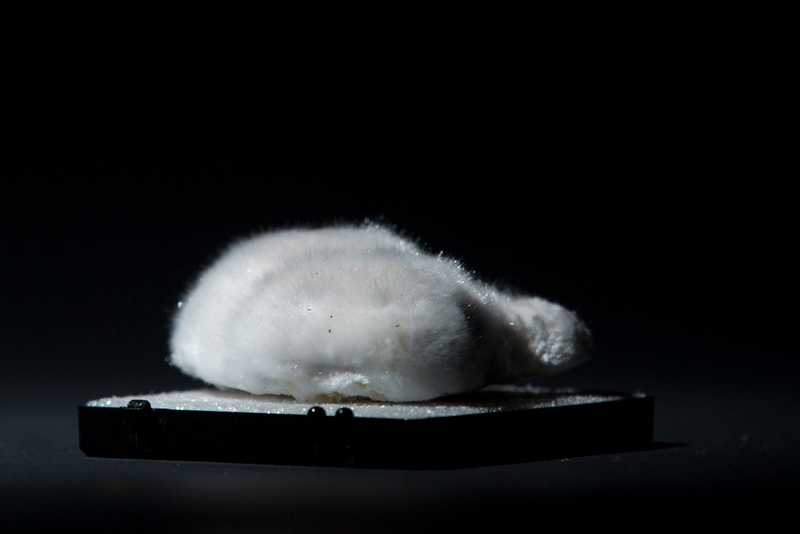 “We do not sell any specimens and very rarely have we traded for a piece that is not currently in the museum,” says Wronkiewicz, who has been curator and “keeper of the keys” for 20 years. 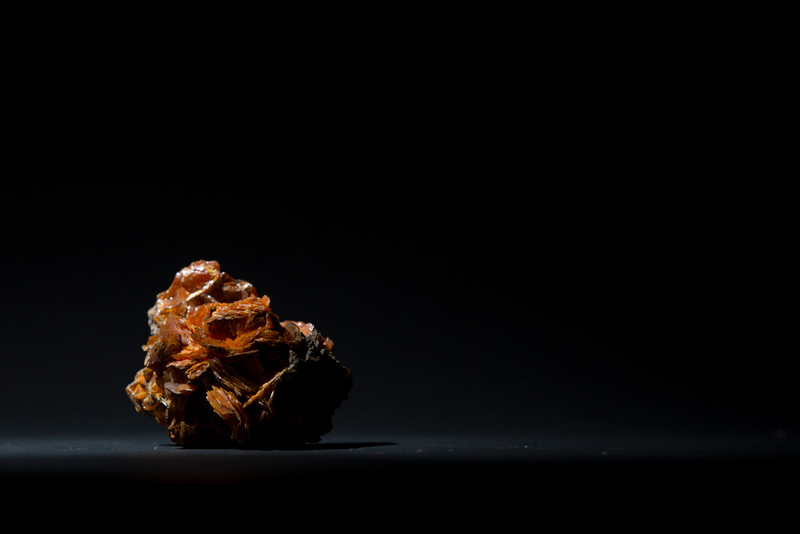 Wulfenite and Quartz from Mammoth-St. Anthony Mine in Arizona. Donated by E.A. Stone. The display has a black-light display stand that allows students to see minerals glow, a compass pointing to a “false North” due to a meteorite’s magnetic pull, and a mysterious Buddha-like statue with unknown origins. Amphibole from an unknown location. Donated by donor number 2535. 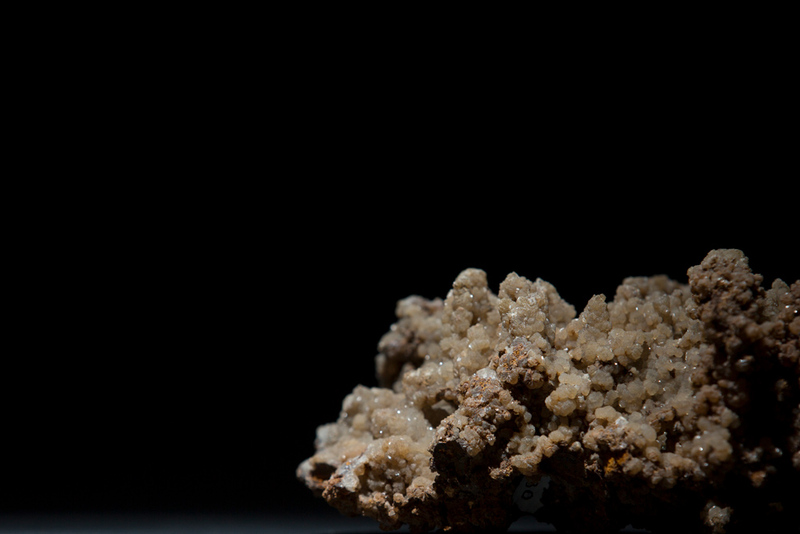 Calamine Stalactite from Granby, Missouri. Donated by Col. J. Kingston. The Mineral Museum is open daily during regular business hours when classes are in session at Missouri S&T. Special guided tours can be arranged by contacting the GGPE department at rocks@mst.edu. I believe this is the largest permanent mineral display in the state of Missouri, and one of the largest public displays in the world..
Also see St Joe State Park off Hwy 32 in Park Hills for another nice mineral display from lead mines there. Milton J Murry Good mining machinery display also.